Millennial in Manila | I'm a Millennial in Manila who believes everyone has their own story to tell. Does Spam Spread Warrants A Blog Post? Most of you will probably recognise the size of this can, looks familiar? Along the lines of liver spread. For one it’s good to the palette albeit the spammy aftertaste. Not salty like the accustomed taste of SPAM. For the cost, it is quite expensive (well at least for me coz I’m cheap) P209 for 3 at S&R – you won’t be able to buy it per piece. You can use it to make different kinds of spread, adding mayonnaise make a world of a difference in taste. I would rate this an 8/10 for me. Krispy Kreme PH is giving away a box of 3 Original Glazed Donuts when you buy TWO 12oz Signature or Americano Coffee. Promo valid from September 29 to October 1. Participating stores: ALL except MOA Arena and Airport Stores. Lugang Cafe is offering unlimited Xiao Long Bao and other dimsum for only P298. This promo runs from September 13 – October 13 2017 during weekdays. And is available from 2:30 pm to 5:30 pm. I got some extra Yumi and Michi Funko POP! from the recent Toycon 2017 PH. To promote my new page and share to the Funko community in the Philippines, I raffled them off at PTYD (POP Till You Drop). Thanks to everyone who joined the raffle. Thanks also to Mikki (one of the admins) as well as the other admins of the group. More power and keep poppin! Happy POP hunting guys! 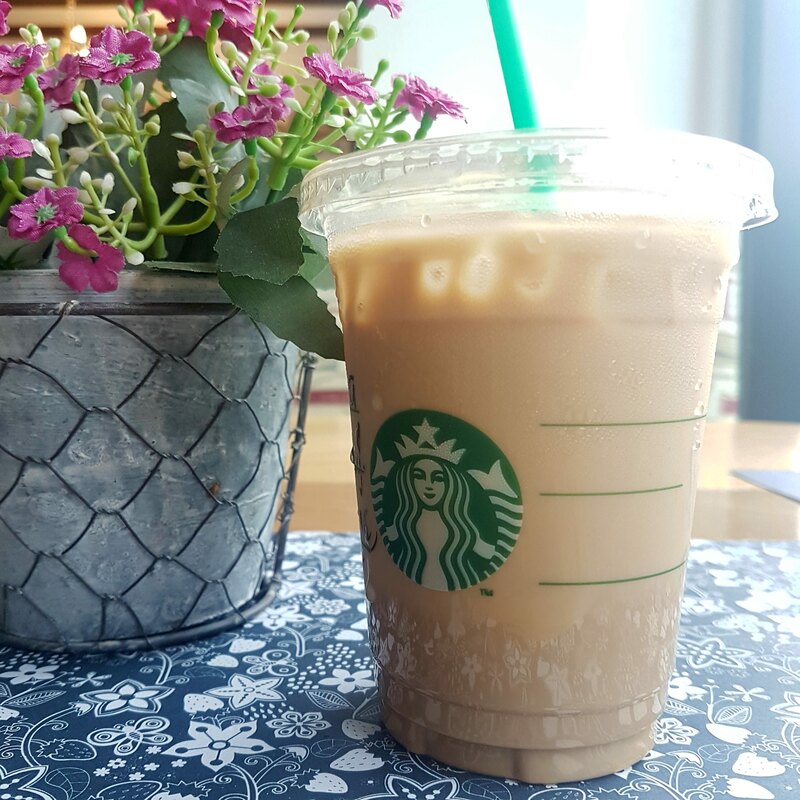 If you’re anticipating what iced coffee Starbucks is offering this humpday – they’ll be offering Iced Grande Mocha today 7.19.2017 for P100. From 3pm to 6pm only in all Starbucks stores (Philippines). Got my Iced Grande Vanilla Cafe last Wednesday. Can’t wait for Iced Grande Mocha later for a daily dose of caffeine! There’s an option to get a Legendary or VIP pass. The Legendary pass costs php 10,000 that included a loot bag from Mindstyle, 3 day passes, 3 autographs and 2 photo-op tickets for the celebrity meet and greet, and of course the 18″ Daimos vinyl figure exclusive to the event. The VIP pass costs php 3,000 that included all of the things mentioned above except for the 18″ Daimos. It would have been perfect if he can move his arms and legs. Upon entering the hall, you will be greeted by huge statues, maquettes and robot figures representing each booth and toy genre. Walking around made me hungry – and yes there is a food area! They have various food stalls that offer rice, fries, pizza, hotdogs, tokiyaki and my favorite – sausage! Toycon 2017 wouldn’t be complete if there is no toy gallery and the folks from our different toy groups did not disappoint. They showcased their toy lines in all their glory. and of course what most of the VIP/legendary pass holders waited for, the distribution of the Funko loot bags courtesy of Mindstyle. We were kinda disappointed not because of the line (it’s not that long to be honest), but for the reason that we waited for two hours. The loot bags are already there but the tickets for the meet and greet were not yet ready. And they wanted to distribute the loot bags and tickets at the same time. For the meet and greet – I got Karen, Stefan and Kevin then we were told to go up to Hall 4 for the actual signing. There was a not so long line waiting for us, however, they could have improved on the queueing for each celebrity since the queue lines for each celeb were not equal. 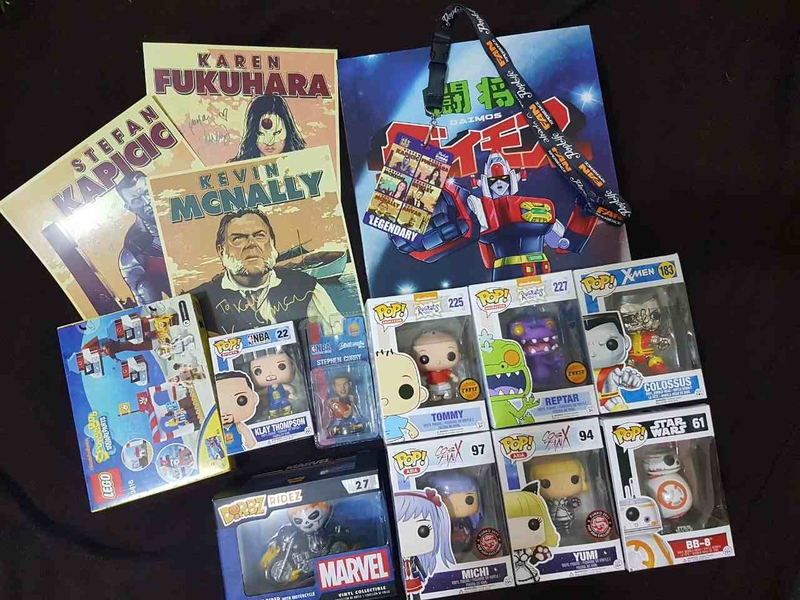 Here’s my haul from Day 1 – you’ll notice a lot of Funko POP! vinyl figures (yes, I’m a Funko POP! collector) they are sooooo cute, aren’t they??!! They also bring back lots of childhood memories! I was dead tired from waking but went back for day two. Day 2 marks the official opening of Toycon 2017, and to start things off a ribbon cutting ceremony was held by the stage and was graced by the newest Darna: Liza Soberano. This time more people attended and the cosplayers are also present, from DC to Marvel and a lot more, Day 2 got its fair share of attendees. Toycon 2017 has its ups and downs, but overall, it was a fun experience for me. After seeing this post, will you still go to Toycon 2018? I certainly will! Got home late from Toycon 2017 and dead tired. But am excited to share with you my experience and more unboxing videos. To summarize the day, here’s my Toycon 2017 Day 1 haul. And this is me with Karen Fukuhara (Katana: Suicide Squad) signing an autograph. I know this is kinda late. Funko POP! T-bone FDO7 Exclusive was released last May 7 on the Funko Funatics Day Out 2017. But I still want to share it with you guys!